Can Suboxone Cause the Same Problems Other Opioids Cause? Home › Articles › Can Suboxone Cause the Same Problems Other Opioids Cause? As a partial opioid agonist, the buprenorphine in Suboxone can cause many of the same issues other opioids can create. However, there are certain safeguards this drug has that many other opioids don’t which can make taking it much less dangerous than taking other types of narcotics. Suboxone has the potential for abuse and addiction like other opioids. Some of these symptoms are common among those attempting to withdraw from opioids, and it should be noted that patients on Suboxone will be likely to experience them. In addition, they will experience some of the normal side effects of narcotic use, such as blurry vision and constipation. However, if a person begins to experience hives, itching, or swelling of the face, throat, or lips, they will need to call their doctor immediately or go to the hospital, as they are having an allergic reaction to the drug (National Library of Medicine). Jaundice, slurred speech, slowed breathing, and dark colored urine are all more signs that the individual needs immediate care. Like any other drug, Suboxone can cause mild and dangerous side effects, and these should be monitored by the user and known by their loved ones in case they individual suddenly needs help. In addition, Suboxone, like other narcotics, can become addictive if abused. According to the Drug Enforcement Administration, “Buprenorphine is capable of producing significant euphoria,” just like other drugs of its kind, if taken in high doses, and a person could experience the other effects of opioid abuse and addiction if they continue to use the drug in this way. 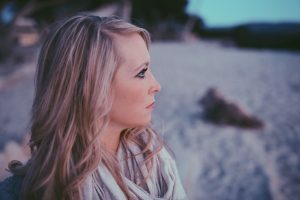 Some individuals have even needed to attend addiction treatment for Suboxone after the drug was meant to treat their original substance abuse. How Is Suboxone More Protected than Other Narcotics? Though there is a possibility that the drug can cause the same issues other opioids cause, Suboxone does have certain safeguards put into place to attempt to minimize the likelihood of these issues arising. Naloxone is included in the drug in order to protect it from being crushed and snorted or injected; when a person does this with a Suboxone sublingual tablet, the naloxone effect dominates the buprenorphine and, instead of getting high, the individual will experience opioid withdrawal effects almost immediately (SAMHSA). In addition, buprenorphine has a ceiling effect of its own. When the drug is abused, it can only be taken in higher and higher doses to a point, and finally, it will no longer create more intense effects in the user. This is meant to curb the possibility of abuse. However, many people do still abuse the drug, attempting to get around its ceiling effect and the effects caused by naloxone. Should I Be Concerned About Suboxone’s Dangerous Effects? Do not take more of it than prescribed. Do not take it more often than prescribed. Do not continue taking it for a longer period than prescribed. Do not take it in a different way than you are told (i.e. crushing and snorting it instead of taking it as meant). If you take your medication exactly as you are prescribed to, you should not have to worry about its addictive effects. However, it is still important to be aware of any side effects associated with the drug and to talk to your doctor as soon as possible if you notice issues that are not going away. Do You Need Suboxone Treatment or Rehab? Call 800-533-1341 now to find a rehab center that will help you overcome your opioid abuse and allow you to safely and effectively recover from addiction. Should I Still Be Treated with Suboxone Even After I’ve Abused It? Suboxone vs. Methadone: Which Is More Dangerous? How Does Rehab for Suboxone Work? Suboxone & Alcohol: Does It Help? Can my Teen Take Suboxone? Opiate Addiction Treatment Without the Use of Maintenance Medications: Is It Possible? How Long Does Suboxone Rehab Take? Can I Use Suboxone for Opiate Detox and as a Long-term Opiate Addiction Treatment?